Lanie's Little Learners: FREEBIE! Letter G Independent Practice (6) Pages!!! FREEBIE! Letter G Independent Practice (6) Pages!!! The All About the Letter Gg Independent Practice Packet is the perfect accompaniment to the All About the Letter Gg SMARTBoard Activity. I have used a variety of the activities in both whole and small group instruction. The packet contains over 40 pages of engaging hands-on activities perfect for Pre-K, Kindergarten, and First Grade. 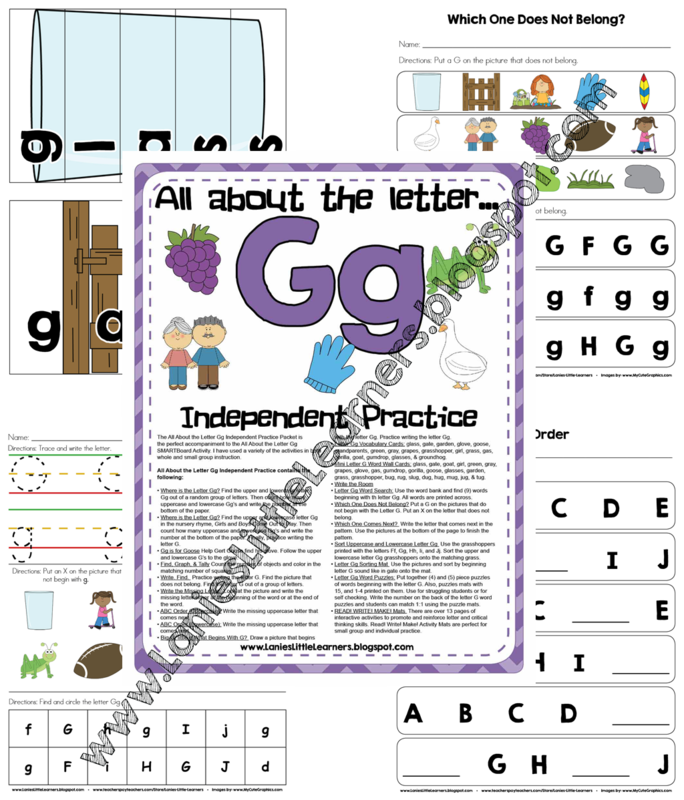 I am offering (6) pages of the All About the Letter Gg Independent Practice Packet as a FREEBIE. If you like the activities in the FREEBIE. Then you can purchase the entire packet at Teachers Pay Teachers for $2.00.